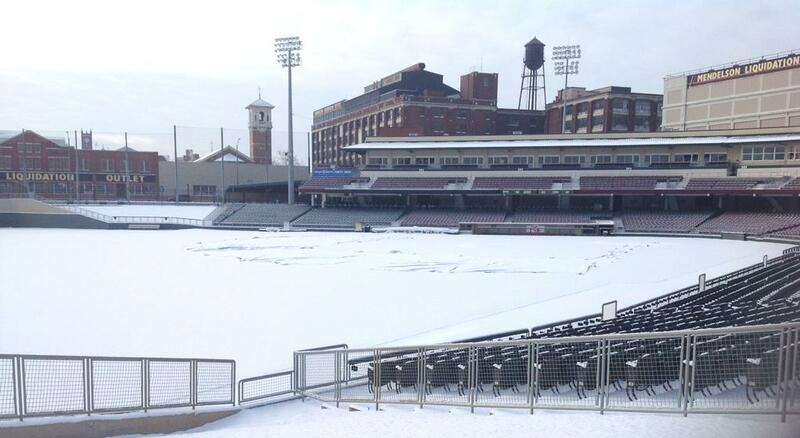 The snowy scene at Fifth Third Field, home of the Dayton Dragons, on Tuesday morning. For baseball fans, there’s a warm feeling associated with the start of spring training. But for those of us in the Midwest, single-digit temperatures and wind chills in the negative teens serve as a not-so-subtle reminder that it is still winter. 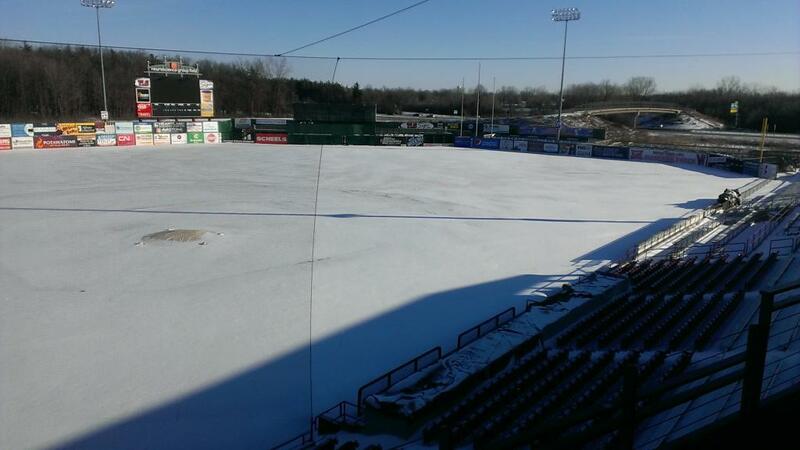 Since so many of us are stuck with cold weather right now, this seems like a good time for this offseason’s edition of “Snowbound Stadiums of the Midwest League.” Longtime readers know I enjoy posting (and sharing on Twitter) photos of MWL fields covered with snow. 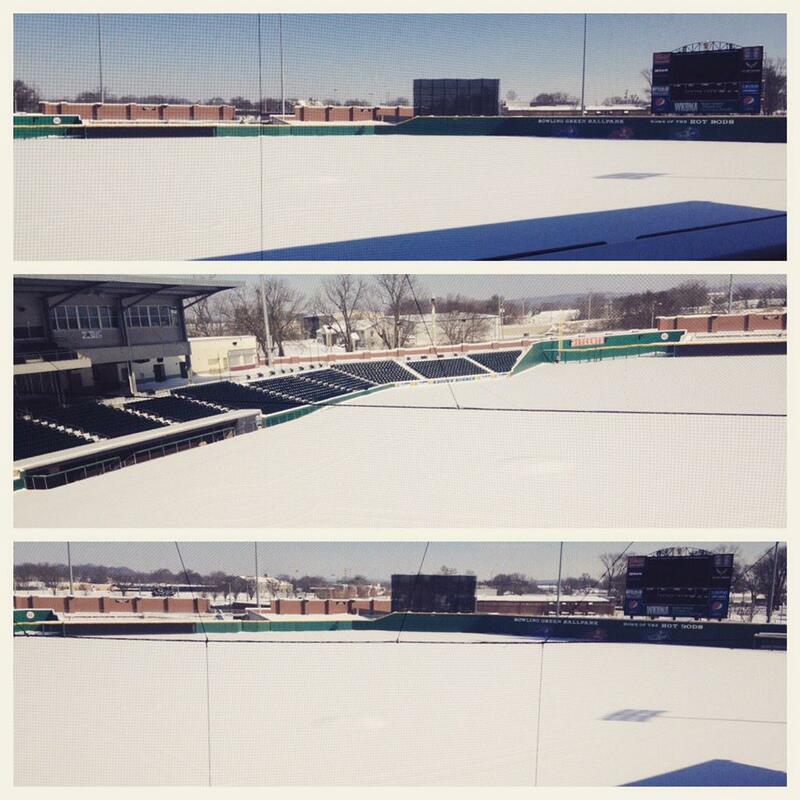 So, without further ado, here are some pictures shared recently by MWL teams. I’ll start with this photo of Dozer Park, home of the Peoria Chiefs, from Tuesday. 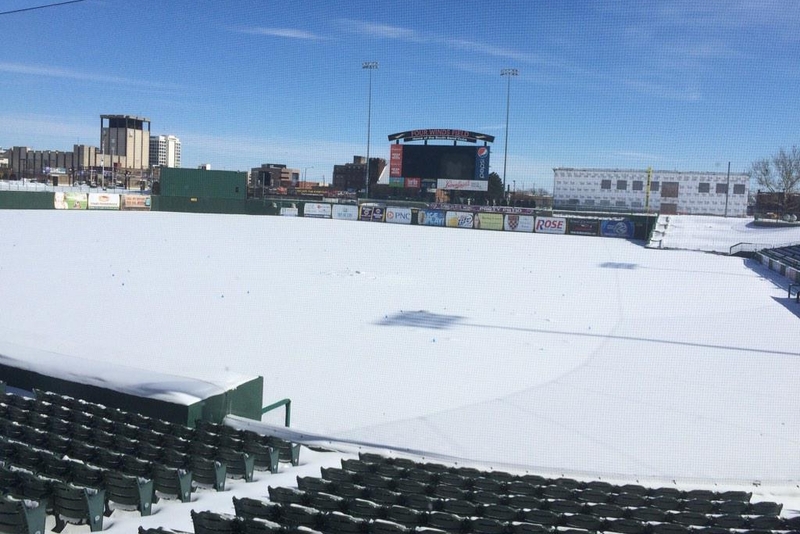 In terms of snow still on the ground, it looks like Peoria has gotten off easy compared to most other Midwest League cities. Bowling Green Ballpark, home of the Bowling Green Hot Rods, is the southern-most stadium in the Midwest League. Still, it is blanketed in white after a storm dumped nearly a foot of snow on the Kentucky city Monday. 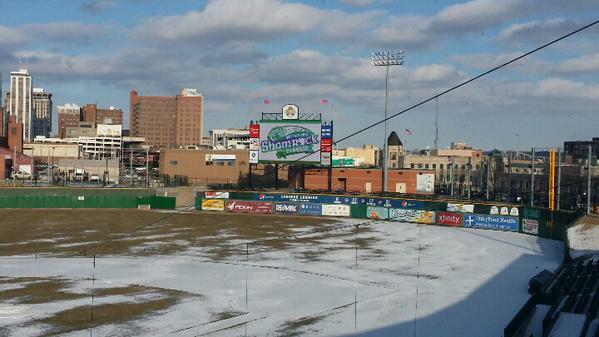 This was the snowy scene at Four Winds Field, home of the South Bend Cubs, on Sunday. Here’s a look at Neuroscience Group Field at Fox Cities Stadium, home of the Wisconsin Timber Rattlers, earlier this month. Finally, here is a look at the part of Fifth Third Ballpark that was rebuilt after last year’s fire. 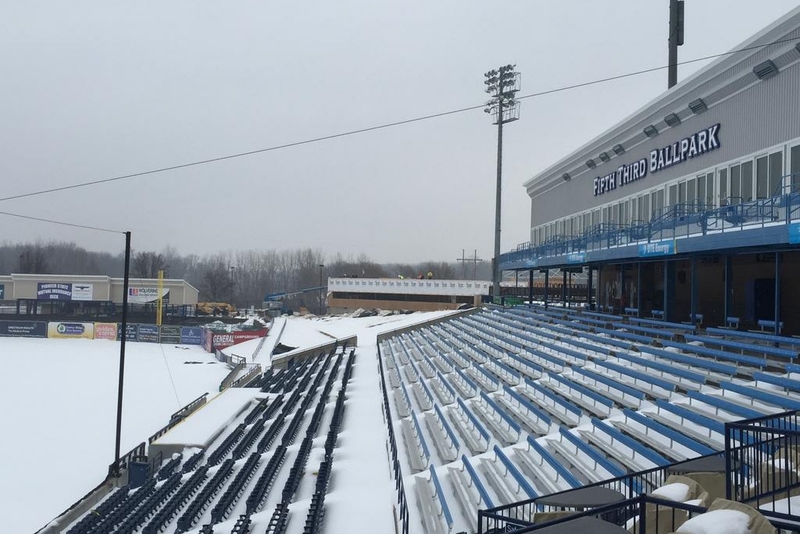 In the background you can see the new administration building and deck area being built by the West Michigan Whitecaps this offseason. This entry was posted in Bowling Green Hot Rods, Dayton Dragons, Midwest League, Peoria Chiefs, snowbound stadiums, South Bend Silver Hawks, West Michigan Whitecaps, Wisconsin Timber Rattlers. Bookmark the permalink.